We are living in times when people are empowered with extensive knowledge of anatomy illnesses and clinical procedures, stored on a remote website, that can be accessed via their smartphone, while they are travelling in the metro. The healthcare industry has gained a lot from advanced IT solutions and expanded into new modes of interaction with patients and among doctors and specialists. We deliver agile solutions for the healthcare industry that can be used meaningfully in offering better services. Our software solutions will make administration less tedious and patient data more secure and easily accessible. Whether you are seeking mobile solutions to empower your doctors and nurses with seamless data access of case histories, or solutions to make available information and procedures regarding the norms and regulations surrounding them to your patients, we can create stable communication channels and database management systems for the same. 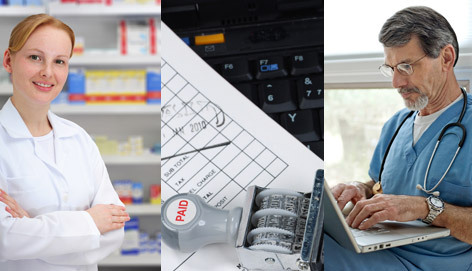 You can outsource the complete IT requirement for your healthcare service to us and we will ensure that you get reliable solutions that can be easily adapted by your staff. We will install highly secure services to protect patient data and also offer backup and disaster management services.